Do you find it difficult to choose the perfect doll house? I do. So many are so close to perfect, but not exactly what I want. The solution is to make your own – and now you can. This is a recyclable, modular, choose-your-own-adventure style of doll house, in the cardboard box tradition, with infinite possibilities. 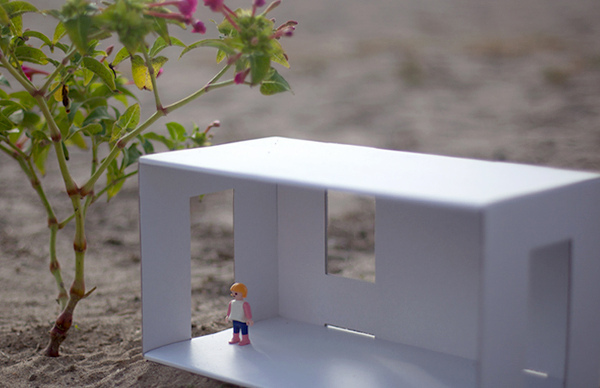 It’s called Kids’ Mobile Box and it’s from Spanish crafty design team El Hada de Papel. The square, modular design of the Kids’ Mobile Box allows you to put it together in just about any way you like, and you can buy additional units to attach to your house if your tastes run more towards mansion than bungalow. 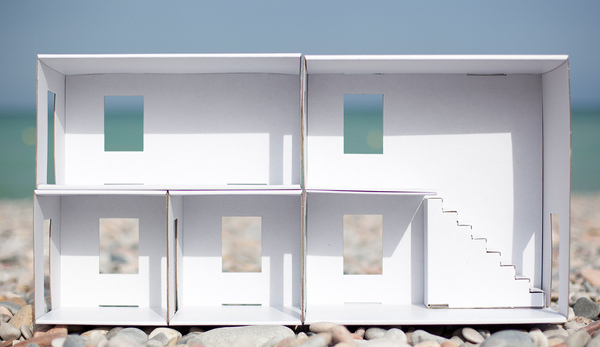 Each package contains enough house to build something akin to the house above, with five rooms, including a staircase. Each room assembles separately, and you can glue them in place or just attach them to each other temporarily. Kids will love putting their stamp on the white walls too – they can be painted or decorated with stickers for a personal touch. The team at El Hada de Papel clearly love exercising their crafty instincts – they have plenty of suggestions on how to decorate your house, with great pictures to inspire you. The Kids’ Mobile Box costs €34.90 – but here’s the downside – unless you’re in Spain (or you know someone who is) – it doesn’t seem like there’s anywhere online selling them at the moment. Keep an eye on the stockists page to find out if that changes. 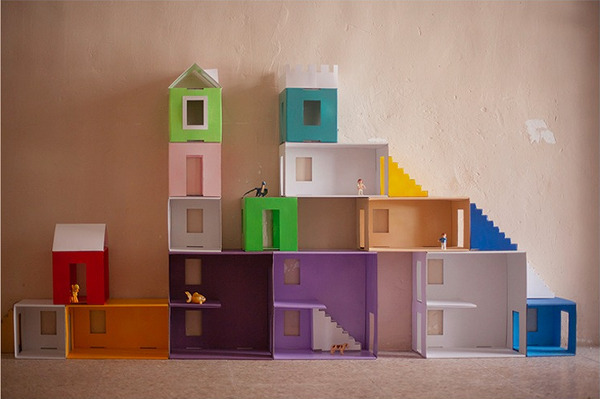 In the meantime, peruse our best doll houses from our archives.